Google Flights has received two new features to help your travel experience. One among them is the ability to predict flight delays with the use of Machine Learning, and another is the new fare type option to show cheap fares. The new fare type feature includes options like “Basic Economy” for those who are traveling on a budget. To make it more comfortable, Google will also include additional charges like overhead bin space, ability to select your seat and baggage fees. This feature is available for flights on American, Delta, and United. 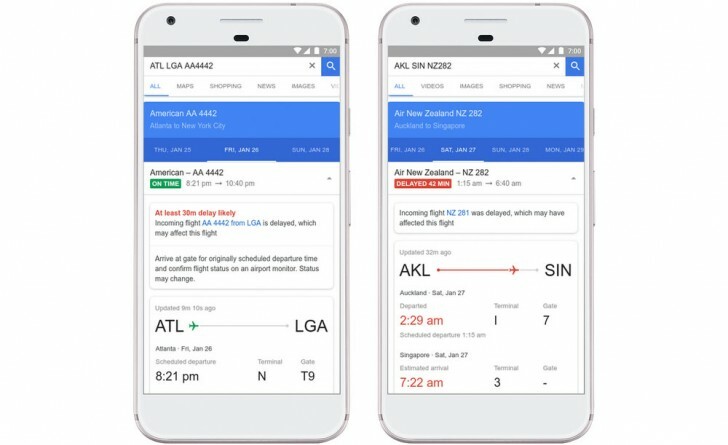 On the other hand, Google will now use historic flight status data, and machine learning algorithms to predict delays even when this information isn’t available from airlines yet and Google says that it will flag a delay status if it is at least 80% confident. However, Google advices you to reach the airport beforehand. To know the status, one simply needs to search for the flight or the airline and flight route, and these details will appear right in your search results. This really is a nifty little feature to have, but the availability seems to be limited to selected regions right now.